Toronto, ON – The Canadian Hockey League in association with BMO Financial Group today announced the captains and alternate captains for the 2015 BMO CHL/NHL Top Prospects Game to be played on Thursday January 22 in St. Catharines hosted by the Niagara IceDogs. Connor McDavid of the Erie Otters and Anthony Beauvillier of the Shawinigan Cataractes have both been named captains for the 20th annual showcase of the CHL’s top-40 NHL Draft eligible players. McDavid will lead Team Orr along with alternate captains Jansen Harkins of the Prince George Cougars, and Nicolas Roy of the Chicoutimi Sagueneens. Beauvillier will lead Team Cherry along with alternates Dylan Strome of the Otters, and defenceman Brandon Carlo of the Tri-City Americans. McDavid, an 18-year-old from Newmarket, ON, won gold as an alternate captain on Canada’s National Junior Team and earned a spot on the 2015 IIHF World Junior Championship all-star team. The Otters’ captain and 2012 first overall pick is now in his third OHL season and has 56 points in just 21 games played. 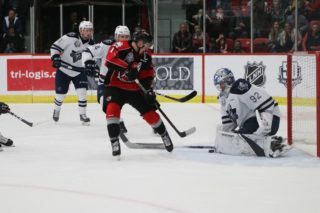 Roy, a 17-year-old from Amos, QC, was the first overall pick in the 2013 QMJHL Entry Draft and has 28 points in 40 games played in his second season with the Sagueneens. Harkins, a 17-year-old from North Vancouver, BC, was the second overall pick in the 2012 WHL Bantam Draft now playing in his second WHL season with 49 points in 44 games played with the Cougars. 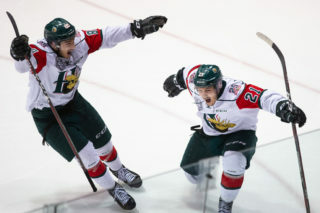 Both Roy and Harkins were gold medal winners with Canada’s National Men’s Summer Under-18 Team. 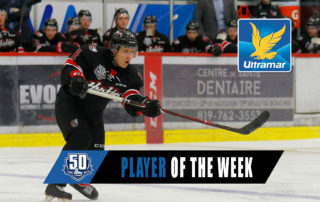 Beauvillier, a 17-year-old from Sorel, QC, is playing in his second season with the Cataractes and currently ranks ninth in league scoring with 57 points in 42 games. 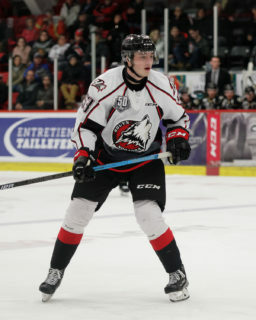 A gold medal winner with Canada’s National Men’s Summer Under-18 Team, Beauvillier was the second overall pick in the 2013 QMJHL Entry Draft. Strome, a 17-year-old from Mississauga, ON, was also chosen second overall in the 2013 OHL Priority Selection and is currently second in OHL scoring with 76 points in 41 games played. An alternate captain with the Otters, Strome won gold with Canada alongside Beauvillier at the 2014 Ivan Hlinka Memorial Tournament in August. Carlo, an 18-year-old from Colorado Springs, CO, has 16 points in 38 games played in his second WHL season with the Americans. He represented the United States at the 2015 IIHF World Junior Championship. The BMO CHL/NHL Top Prospects Game features 40 of the CHL’s top draft eligible players for the 2015 NHL Draft. 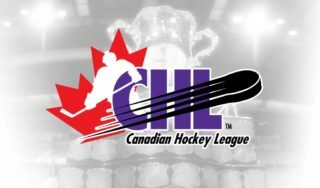 This annual showcase features the next wave of NHL talent from the Ontario Hockey League, Western Hockey League, and Quebec Major Junior Hockey League. Since the event was first introduced in 1996 the game has featured 12 players that were selected with the first overall pick in the NHL Draft including Chris Phillips, Joe Thornton, Vincent Lecavalier, Rick Nash, Marc-Andre Fleury, Patrick Kane, Steven Stamkos, John Tavares, Taylor Hall, Ryan Nugent-Hopkins, Nathan MacKinnon, and most recently Aaron Ekblad of the Barrie Colts selected first overall by the Florida Panthers. Ekblad, who captained Team Orr last season, was the first of 17 CHL players who competed in the 2014 BMO CHL/NHL Top Prospects Game to be selected in the first round of the 2014 NHL Draft with Team Cherry captain Sam Reinhart of the Kootenay Ice selected second overall by the Buffalo Sabres. The 2015 BMO CHL/NHL Top Prospects Game is proudly supported by title partner BMO, along with associate sponsors SUBWAY, Cooper Tires, and autoTRADER.ca. The game will be broadcast live on Sportsnet and TVA Sports. For more information about the event please visit www.bmotopprospects.ca.